The MadBull Gemtech "HALO" QD Barrel Extension is another quality barrel extension from Madbull. 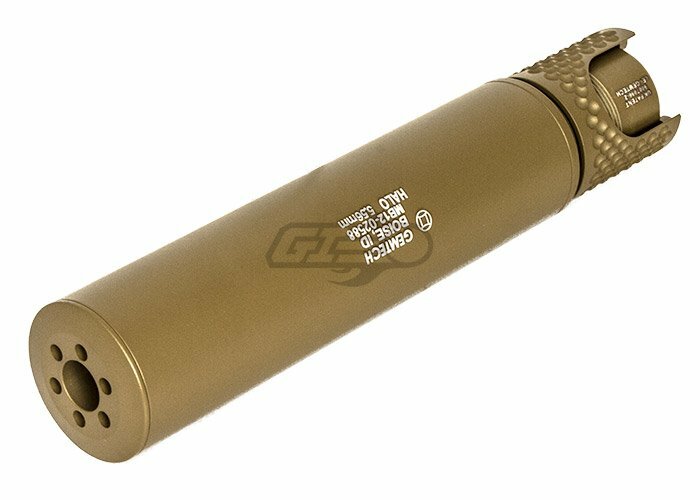 They received the license from Gemtech to replicate their famous HALO quick detach suppressor. This barrel extension fits over your standard birdcage flash hider to enhance the look of your M4/M16. It only takes a few seconds for the Madbull Gemtech HALO to go on and come off. Thread Type: None, This is a Quick Detach barrel extension You must have a standard M4/M16 Birdcage flash hider to use this product. 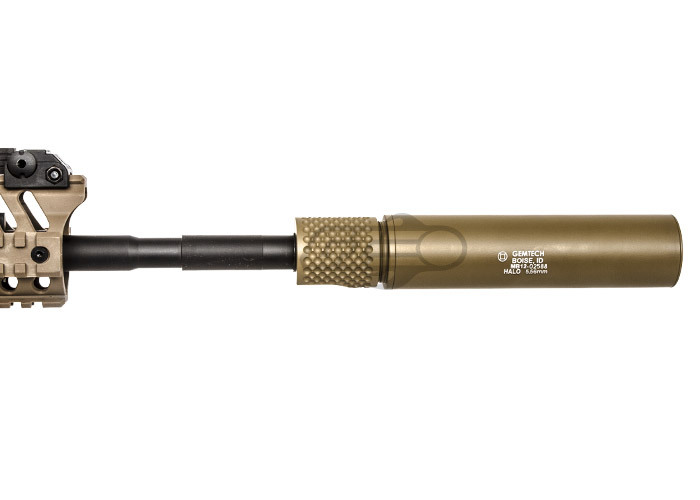 This barrel extension fits over the flash hider. It is one solid piece with absolutely no suppressive capability. Looks great! But had to file down the inner portion because it would not fit over my 416 flash hider. Its fairly long as well, but seems durable. Didn't fit my 416 flash hider, had to dremel the inside out a little bit. Does this fit on a vfc scar l ? If you have a standard birdcage flash hider then yes it will work. If you have the stock plastic one it will not work. Does this fit on a combat machine? This is designed to fit on guns that have a standard birdcage style flash hider. This is designed to fit guns with a standard birdcage style flash hider. I was wondering if this barrel extension would fit on the Lancer Tactical Full Metal PDW's flash hider.